The luxurious Beach Rotana Hotel Abu Dhabi is located in the city’s Tourist Club district and offers direct access to a private beach. 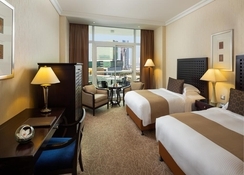 With as many as eleven restaurants serving international and Arab delicacies, lovely bars and easy access to the Abu Dhabi Mall, this is a favourite choice of accommodation for travellers to Abu Dhabi. Comprising spacious rooms and suites done up in modern décor and luxurious furnishing, some with balconies offering sea views, this is the perfect place to rest and enjoy your city break. A lovely pool with sundeck surrounded by loungers and palm trees, a relaxing spa with steam bath and massage and tennis and squash court invite guests for a memorable stay experience in the lap of luxury. 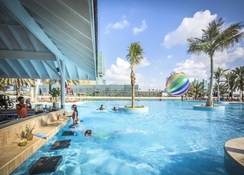 Beach Rotana Hotel Abu Dhabi is centrally located in the heart of Abu Dhabi business and shopping district with a private beach access overlooking the Arabian Gulf. Shops, cinemas, and malls are all nearby. The famous Saadiyat Island, the Corniche, Gold Souk and the new CBD are just a few minutes away from the property. Abu Dhabi airport is just a 30 minutes by car. The hotel has 565 elegantly furnished rooms, suites and serviced apartments. The air-conditioned guestrooms are equipped with satellite TV, telephone, high speed Wi-Fi, work station, safe, minibar, coffee/tea makers and en-suite bathrooms. In addition, there are balconies or terraces offering gorgeous sea or pool views. 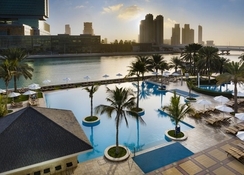 They come in categories of classic & premier rooms, classic & premier suites, beach, deluxe and royal suites. With 11 restaurants catering to a variety of palates from continental, Asian and Arab cuisines – Beach Rotana Hotel Abu Dhabi takes its guests on an enchanting epicurean journey. Rodeo Grill, a fine steakhouse, American-Japanese, Italian, Seafood and North-Indian dishes are some of the fare on offer, along with a wide selection of liquors from the New World and Europe. Certain restaurants may have limited timings, menus or remain closed during holy month of Ramadan. 24-hours in-room dining is available. Apart from access to the grand Abu Dhabi Mall, the hotel is in close proximity to interesting museums and monuments guests would love to explore. 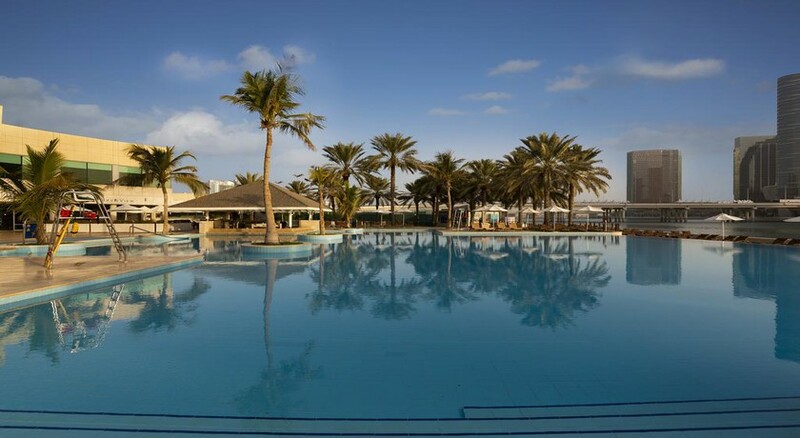 The hotel has a temperature-controlled swimming pools for adults and kids, 120m of private beach, a lovely Zen spa offering relaxing therapies and a fitness club with all modern equipment. Guests may be inconvenienced due to road constructions in front of Le Meridien Abu Dhabi and Beach Rotana Hotel Abu Dhabi.